South Florida has an evolving, ever-growing culinary scene, which makes it THAT much more exciting to keep up with. This Top 10 restaurant list features some of Miami’s Top 25 veterans, but here we are taking a closer look to learn more about the top five. Don't forget to read below to learn overall sentiment scores for all ten! KYU has been making headlines left and right ever since its opening in 2016 by Zuma alums Chef Michael Lewis and GM Steven Haigh. The duo has worked hard to make a name for themselves. 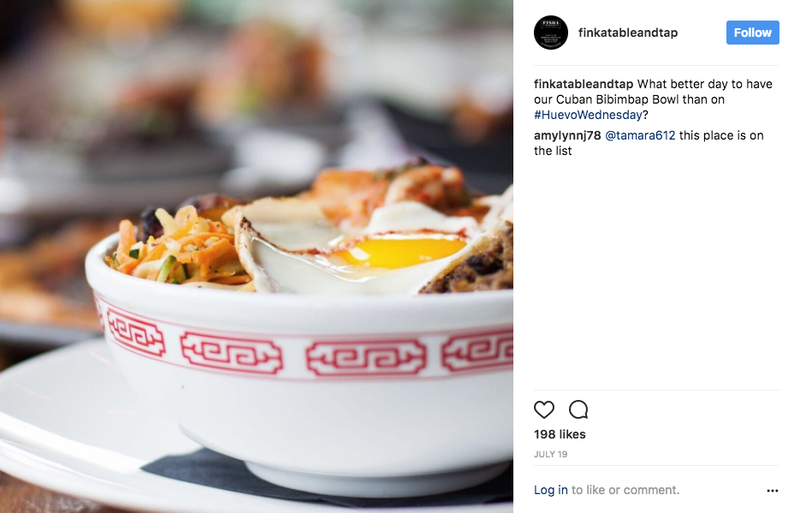 From getting KYU nominated for a James Beard award for Best New Restaurant, to making a handful of best local, regional and national restaurant lists— KYU has surpassed expectations. It boasts wood-fired Asian inspired cuisine with a diverse menu featuring Yakinku— the Japanese barbecue grilling practice. The restaurant focuses on a professional yet relaxed service while staying committed to green practices. Miami’s iconic restaurant, The Forge, has been around since the 1930s. The name pays tribute to the intended purpose of the venue when it first opened— it was built as a forge in the 1920s by an artisan and blacksmith named Dino Phillips. The following decade, the space is turned into a restaurant and it attracted famous celebrities and politicians throughout the years, including; Frank Sinatra, Elizabeth Taylor, and former president Richard Nixon. Now, under Shareef Malnik’s management, The Forge continues to be a go-to destination for Miami Beach diners looking for culinary excellence. It’s rare to see iconic restaurants around for so many years and still making top restaurant lists. That’s why Table 42 host, Paul Barron, decided to head over to The Forge to get to know Executive Chef Julia Doyne and the flair she brings to the historic steakhouse. Check out episode above to learn more! This restaurant has been a Fort Lauderdale favorite for over 20 years— in fact, on December 17, it will turn 24. Canyon Cafe takes no reservations and the wait to be seated can be nearly 90 minutes at times. The restaurant owners reserve the right to open and close the eatery at their discretion. The space is small, seating 60 people in the dining room and 10 at the bar. When guests come in they are advised to not come in a rush seeing that the food is made fresh to order. The typical stay lasts from 45 minute to two hours and the menu boasts a Southwestern fusion and Tex-Mex cuisine. This restaurant is part of the Freehand hotel group, which caters to the free-spirited traveler. 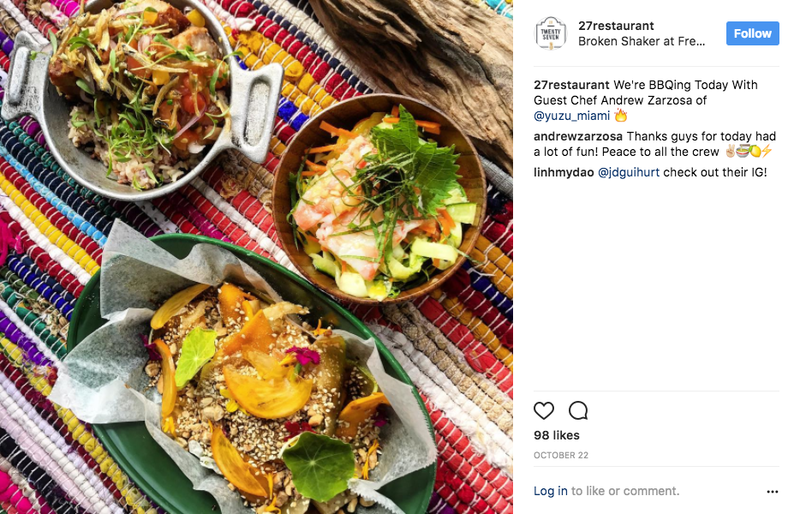 The name of the restaurant “27” may have something to do with its street address that starts off as 2727. It is located in a historic house and it focuses on a welcoming communal dining atmosphere. The restaurant uses fresh local ingredients to serve Contemporary American cuisine. Freehand's 27 features guest chefs from around the world for special events. *These restaurant are ranked on the overall performance by consumer sentiment pull from January to date for 2017. Each restaurant is scored on Sentiment (Food and Service) and overall Engagement for a total 200 points.